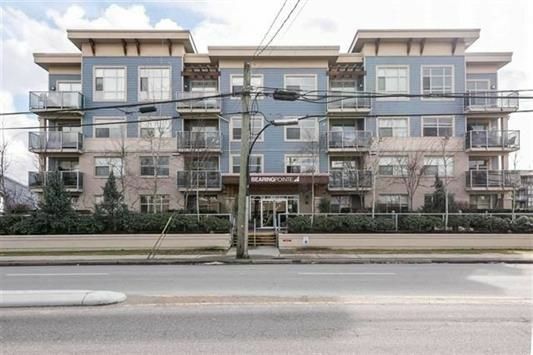 Welcome to this beautiful TOP FLOOR 2 bedroom 2 bath apartment in Langley with vaulted ceilings! Functional open floor plan features a gourmet kitchen with sleek stainless steel appliances, contemporary full wrap cabinets, under cabinet lighting & caesarstone counters. Good size living/dining area perfect for entertaining with a built-in fireplace & access to covered deck. Stacked front loading washer-dryer nicely tucked away out of sight w/ extra storage space. Beautiful bathrooms with Moen fixtures, ceramic tile & caesarstone counters. Master Bdrm with WIC & 4 piece ensuite. Secure well-lit parkade & storage locker. 2 pets allowed & rentals allowed. 2 elevators so you never have to wait. Absolutely gorgeous building in a central location within minutes to shopping, transit & parks.